Analyzing translations may help us. Although there’s no context to the teaser, there’s a great chance that it has something to do with an upcoming character outfit, most likely the Discovery skin that players will be able to unlock once they complete 55 weekly challenges in season eight. 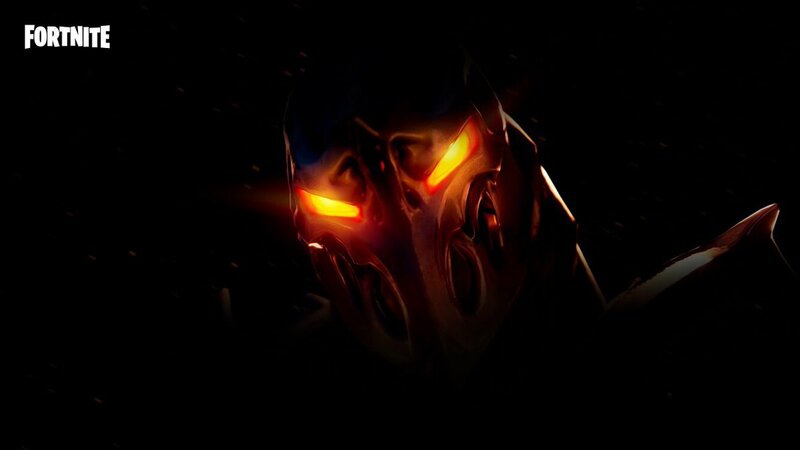 Epic has yet to reveal what the secret item of Discovery is, but it’s fair to guess it’s a character skin named Ruin. The English version of the teaser doesn’t give away too much information, but a quick analysis of how the text is written can give us a clue that “Ruin” is a name. That teaser starts with the word “Ruin” in English, but in its translated versions in Portuguese and Spanish, the word is in the middle of the sentence and capitalized. As with most languages, a word that’s capitalized in the middle of the sentence is a proper noun, which means it gives a name to something. In this case, the only thing that “Ruin” can name is the character in the teaser image. If that’s true, then “Ruin is coming” doesn’t mean that chaos and destruction are coming, but that a character skin named Ruin is. What makes us think that Ruin is the Discovery skin, not any other, is that Epic never teases regular Item Shop skins this way, and players have no way to estimate when a new skin will hit the shop. But they know they’ll only be able to complete 55 weekly challenges and unlock the Discovery secret item once week eight challenges are available two weeks from now, which is pretty soon. This is far from confirmed, but there’s a chance that Ruin is a new character skin coming as part of the Discovery challenges—and it should be coming pretty soon.